﻿﻿﻿﻿The Cyclone class is a class of 14 patrol coastal boats (PC) built by Bollinger Shipyards and commissioned between 1994 and 2000. The PC hull/propulsion design is based on the Vosper Thornycroft design-built fast attack craft of the Ramadan class constructed for Egypt (six units completed the period 1981-1982), Oman (four units completed the period 1982-1989) and Kenya (two units completed the period 1989) which was selected by US Navy. The mission of the ships is coastal patrol, interdiction surveillance and to provide full mission support for U.S. Navy SEALs and other special operations forces in shallow water environment. The Cyclone class Patrol Coastal (PC) are particularly suited for the maritime homeland security mission and have been employed in the past jointly with the U.S. Coast Guard to help protect United States' and their allies' coastline, ports and waterways from terrorist attack; in addition, multiple ships have been forward deployed to the Gulf Region in support of the war on terrorism and piracy in maritime security operations. USS Cyclone was the lead ship of the Navy's Cyclone class of patrol coastal boats. 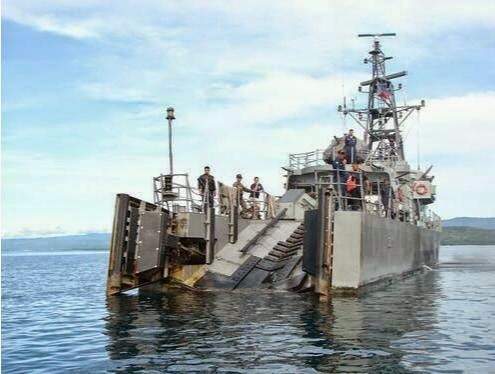 The ship was decommissioned and stricken from the Navy list on February 28, 2000, and was given to the US Coast Guard the next day. 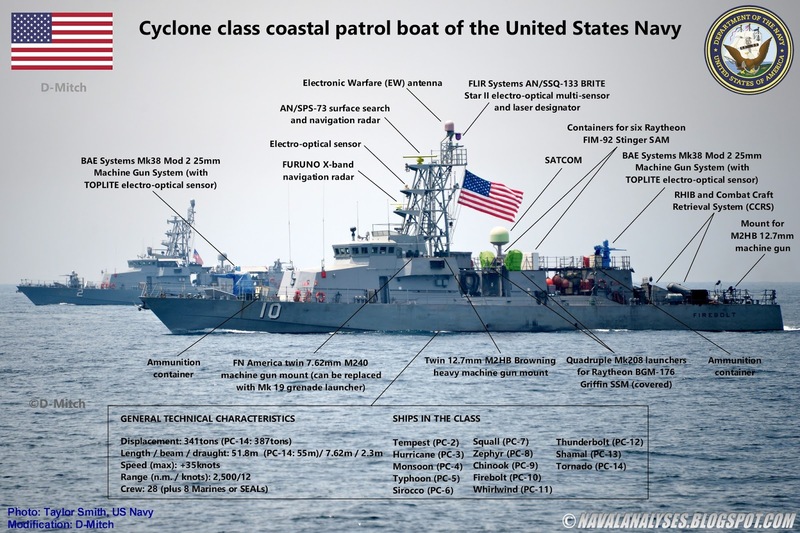 There, the Cyclone was re-commissioned as USCGC Cyclone (WPC-1). 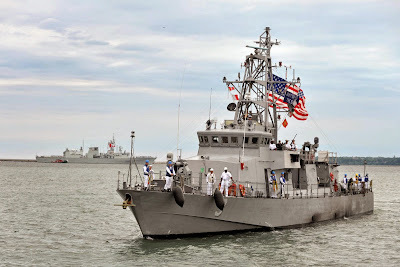 Serving in this role for another four years, the ship was finally transferred to the Republic of the Philippines on March 8, 2004, where the Cyclone entered naval service as BRP Mariano Alvarez (PS-38). The Navy and Coast Guard signed an agreement in August 2004 that allowed four ships (Tempest, Shamal, Tornado and Zephyr) to be under the operational command of the Coast Guard (USCG) beginning in October 2004. 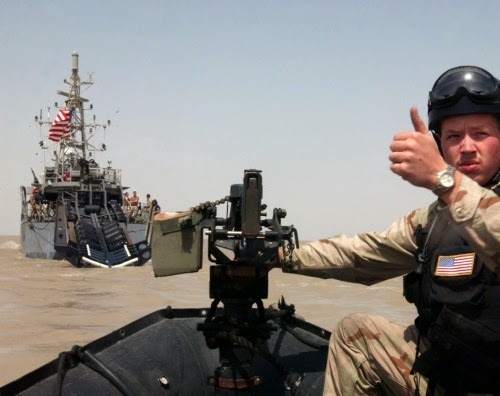 The ships were under USCG in a variety of roles including SAR missions, inspection, patrol and interception (mainly alien migrant and drug interdiction). All the ships that were loaned to USCG were returned to the Navy in 2008 and 2011 and placed back in commission. The general characteristics of the class is a displacement of 341tons for the first 13 ships while for the last of the class, USS Tornado, is 387tons. The length for the first 13 boats is 51.82m while for the larger Tornado is 55m. The beam and draught are 7.6m and 2.3m respectively. USS Tornado is notable for being the only ship in the class designed with shaping features for signature management. The maximum speed is 35 knots and the maximum range is about 2,500n.m. with 12 knots cruising speed. The complement is 39 people of which 4 are officers, 24 enlisted, 9 SEALs and 2 reserve. The endurance is 10 days. 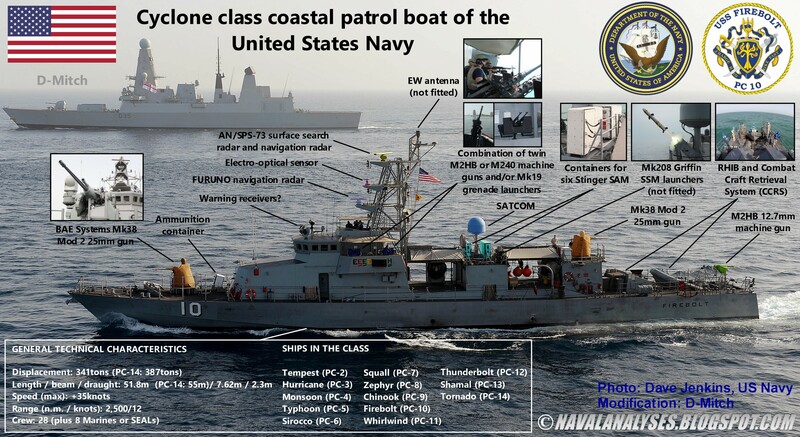 Modified photo of a Cyclone-class patrol boat of the United States Navy. For a high resolution image click here. 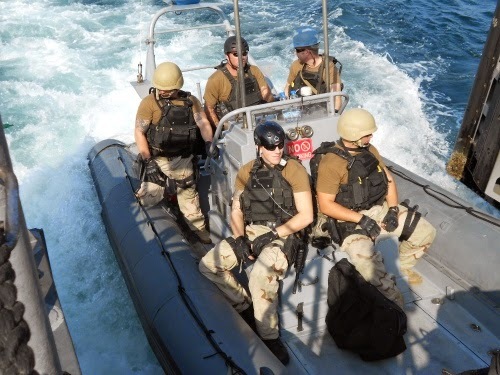 The ships carry a Rigid Hull Inflatable Boat (RHIB) which is released/ retrieved by the Combat Craft Retrieval System (CCRS) at the stern of the ship. 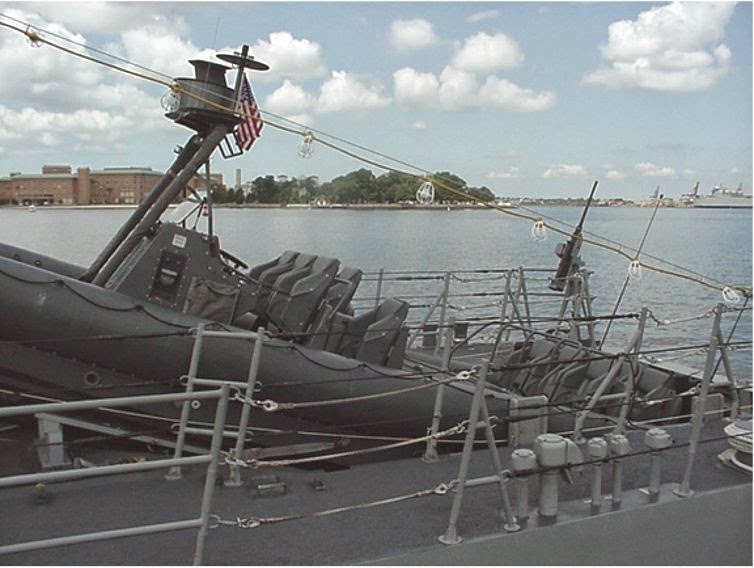 This boat is usually armed with M240 and M2HB machine guns. The CCRS program modified the aft deck of Cyclone class ships (replacing the old crane) with the incorporation a 9-foot stern extension and stern notch to accommodate the system. The stern notch provided the Navy’s newest PC with a proven underway launch and recovery system accommodating several varying sized craft. 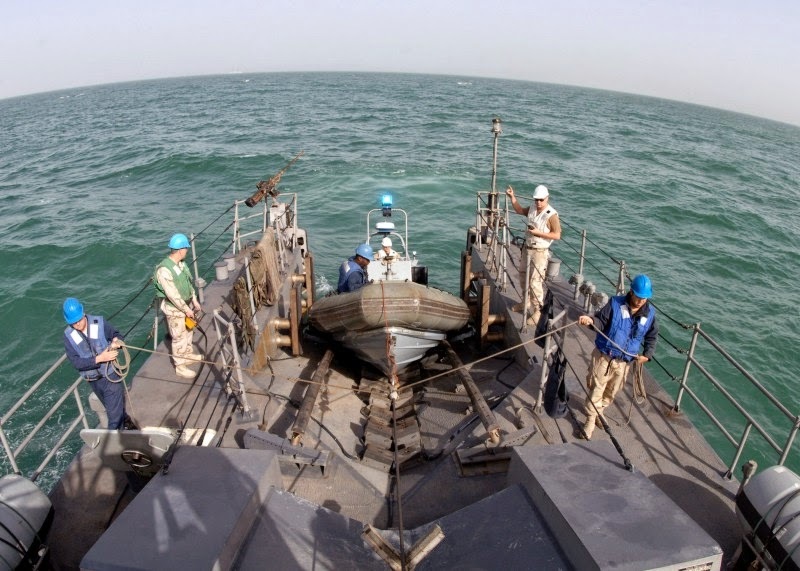 In 2009, the ships began a sustainment program to update their ships engineering, navigation, communication, engineering, combat, and support systems. Bollinger Shipyards has been tasked with the PC Modernization Improvement program aimed at ex­tending the life of the class by another 15 years to a 30-year expected service life (2023-2026). 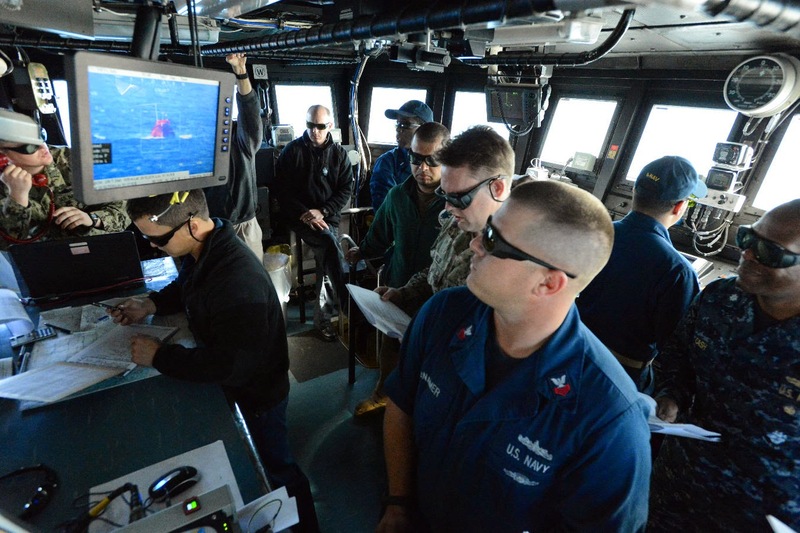 The modernization program supports significant alterations to the hull, mechanical, and electrical systems and updates to the weapons systems and Command, Control, Communications, Computers, Intelligence, Surveillance and Reconnaissance (C4ISR) suite. The modifications to the Cyclone-class are expected to be completed by 2017. 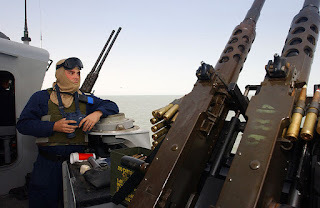 To deal with the tactic of swarming attack speedboats, the Cyclone-class Patrol Coastal Modernization Program replaces the original non-stabilized hand-fired Mk38 Mod 0 25mm guns with the newer variant, the Mk38 Mod 2. In addition to that it replaces the Mk96 platform that combines both a 25 mm chain gun and a Mk19 grenade launcher of 40 mm grenade launcher on a single stabilized platform. 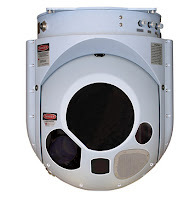 The Mk38 Mod 2 is a derivative of the Typhoon Mk25 Weapon System developed by Rafael and it incorporates a stabilized sensor ball (Toplite) with electro-optical TV, laser rangefinder, and infrared sensor, a fully-stabilized mount, and a remote firing option using a fire control console mounted inside the ship. The Mk38 Mod 2 allows the PCs to lock-on and fire-on-the-move without a standing gunner behind the gun, and to fire in nighttime and adverse weather conditions using the stabilized sensor ball. The Mk38 Mod 2 main weapon is the M242 Bushmaster 25-mm chain gun, a proven NATO standard auto cannon with 2.5 km range and selectable rates of fire. The M242 Bushmaster fires all USN-approved 25-mm ammunition at up to 180 rounds per minute, with the Mk38 Mod 2 providing 168 rounds on-mount. 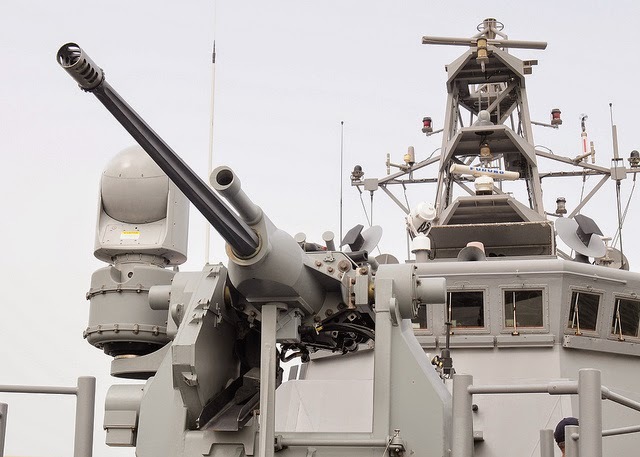 Except the two single Mk38 guns that carries each ship, the boats are equipped with a variety of weapons that are ideal for littoral operations. 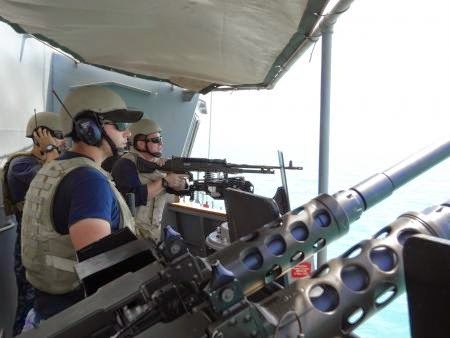 Such as, depending on the mission the ships can be equipped with twin or single heavy machine guns (M2HB of 12.7mm), twin or single machine guns (M240B of 7.62mm) and grenade launchers (Mk19 Mod 3 of 40mm). The M2HB (Heavy Barrel) has a maximum (effective) range of around 1,830m and a cyclical rate of fire of about 500-600 rounds per minute. The M240B (US military designation for FN MAG) has a maximum (effective) range of about 1,800m and a cyclical rate of fire of approximately 750-950 rounds per minute. The Mk19 grenade launcher has a maximum (effective) range of about 1,600m and a cyclical rate of fire of approximately 350-375 rounds per minute. 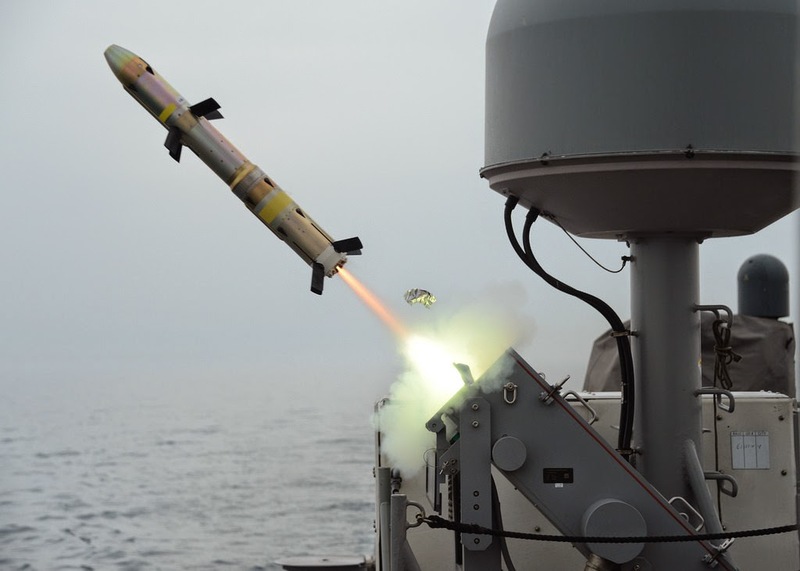 The U.S. Navy began installing laser-guided Raytheon Griffin short-ranged surface-to-surface missiles on Cyclones in 2013 as part of their modernization and increase of their capabilities; as of January 2017, ten were outfitted with Griffin missile systems. 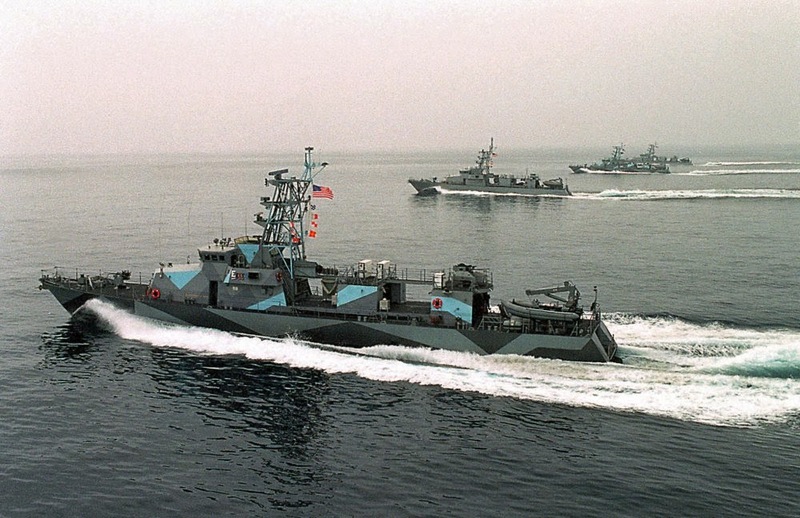 Ten ships are forward deployed, assigned to Commander, Fifth Fleet located in Manama, Bahrain, and installed with the GMS at program completion. 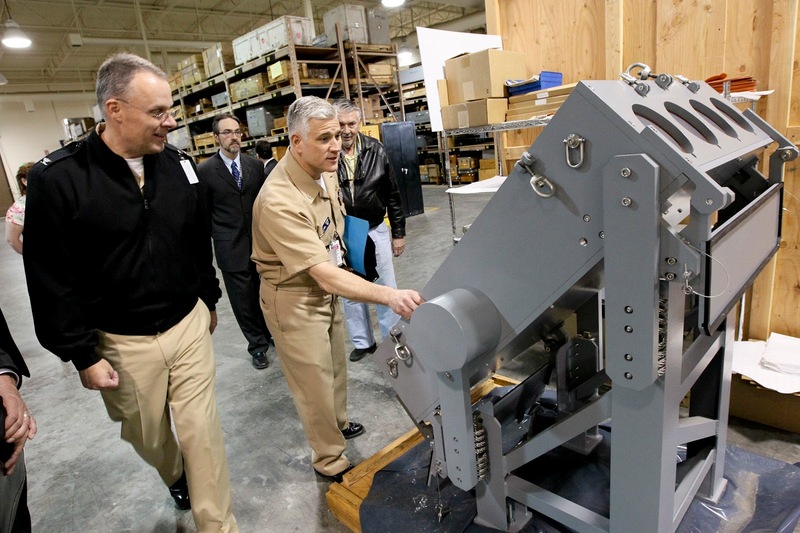 Assistant Secretary of the Navy (Research, Development, and Acquisition) approved the integration and deployment of the Griffin Missile onboard PC platforms as part of a rapid deployment capability (RDC) leveraging existing government off-the-shelf (GOTS), commercial off-the-shelf (COTS) and non-developmental items (NDI). The RDC for the GMS was approved in June 2011 and achieved initial operational capability in Oct 2013. 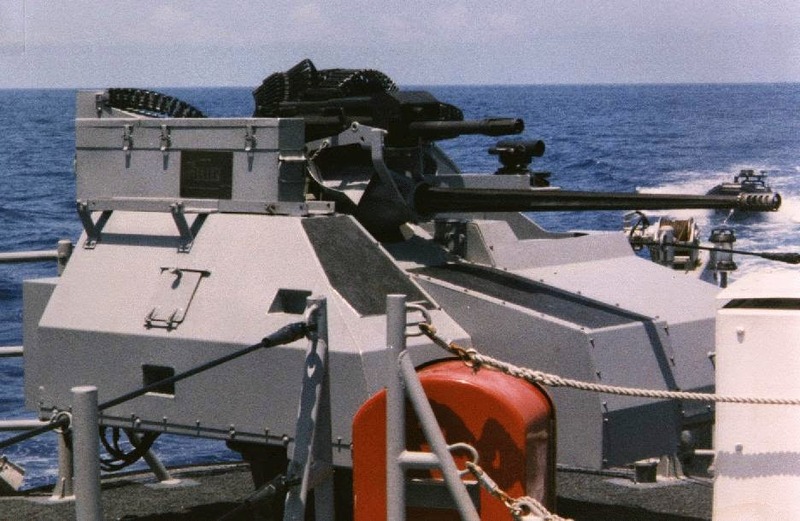 PC combatants with GMS installed possess a layered small boat defense capability building upon the point defense provided with the Mk38 Gun Weapon System. 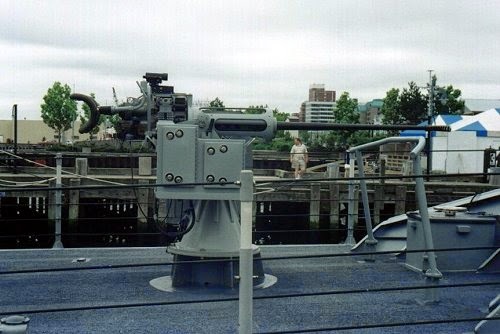 When mounted on a ship, the missile is designated the BGM-176B. 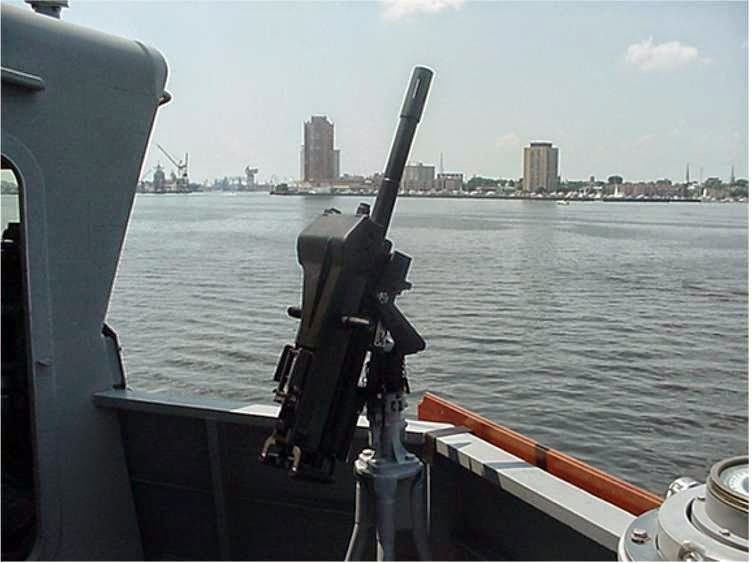 Arming PCs with Griffin missiles adds a layer of defense to the ships beyond the range of their 25 mm gun mounts, out to 5km (2.8 mi), and also provides 360-degree coverage especially against fast-moving speedboats; the missiles' thrust-vectoring engines can move the missile to its target even when launched vertically. The Mk60 Griffin Missile System (GMS) consists of the following system components: Mk4 Battle Management System (BMS), Mk208 Griffin Launcher Module, FLIR AN/SSQ-133 BRITE Star II EO/IR, LRF and LD sensor and the BGM-176B Griffin B all-up-round (AUR) with 5.9kg warhead. The installation of the whole equipment onto a PC is a process taking one month. Watch the following video of a Griffin missile exercise. Griffin provides the user flexible employment options through a simple, easy-to-operate, graphic user interface. The user can select to guide the weapon precisely to the target using GPS coordinates, inertial navigation or laser designation. The vessels carry also six FIM-92 Stinger surface-to-air missiles in two containers amidships. The Stinger missile is manufactured by Raytheon Missile Systems and it has a range of less than 5km. The missile has a maximum speed of Mach 2.2 and it carries a penetrating hit-to-kill warhead type of 3 kg with an impact fuze and a self-destruct timer. March 2014. Photo: Charles Oki, U.S.N. The ships are equipped with a Furuno navigation radar and the AN/SPS-73(V)12 surface search radar that replaced the Sperry RASCAR 3400C and AN/SPS-64(V)9 radars. The Radar Set AN/SPS-73(V)12 is a short range, 2-D, surface- search/navigation radar system that provides contact range and bearing information. 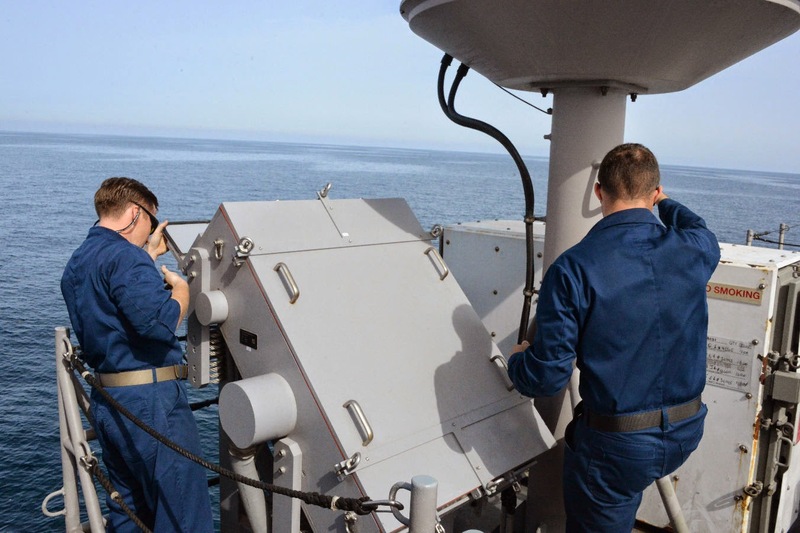 This radar has become a standard for navigational radars in the U.S. Navy fleet as it is currently installed onboard approximately 100 ships across CVN, CG, DDG, LHA, LHD, LPD, LSD, LCC, PC and MCM ship classes. The AN/SPS-73(V)12 provides for signal processing and automatic target detection capability. 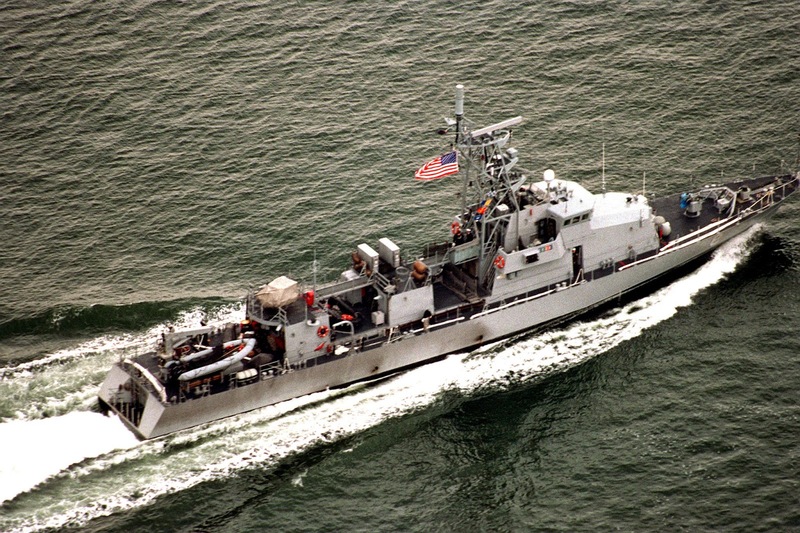 The AN/SPS-73(V)12 surface search function provides short-range detection and surveillance of surface units and low-flying air units, while the AN/SPS-73(V)12 navigation function enables quick and accurate determination of own ship position relative to nearby vessels and navigational hazards. 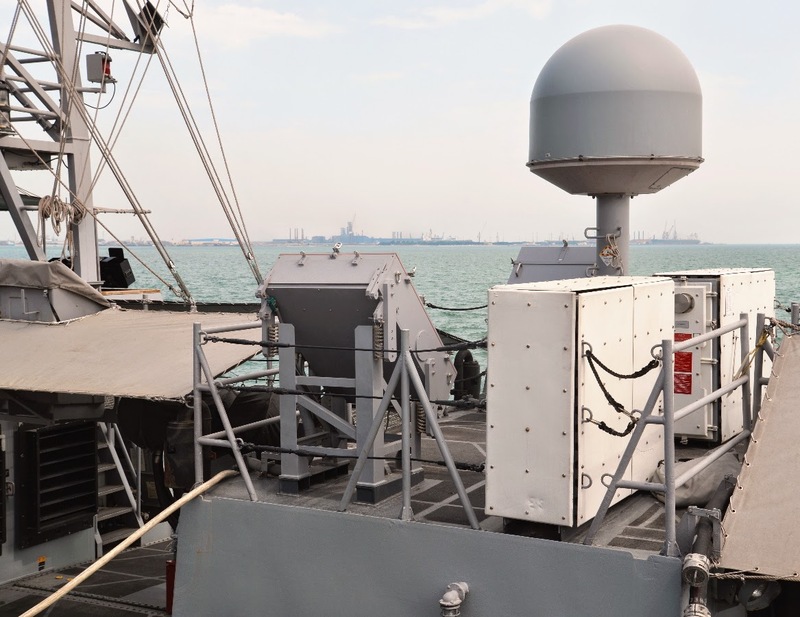 The system’s radar processors and displays combine Commercial-Off-The-Shelf (COTS) products and specialized technologies to create navigational awareness. The AN/SPS-73(V)12 is replacing the AN/SPS-64(V) and AN/SPS-55(V) systems in their capacity as navigational radars on the US Navy Ships. ﻿The AN/SPS-73(V) radar has Built-In-Test functionality for improved reliability, capability and maintainability. The AN/SPS-73(V) can track up to 200 targets on a single system or 300 targets on a dual system with speeds up to 210 knots. The AN/SPS-73(V) Radar tracks surface crafts, obstructions, shorelines, buoys, and navigational markers in order to assist in navigation, collision avoidance, surface surveillance, and limited detection of low flying aircraft. The AN/SPS-73(V) is designed to commercial standards for navigation radars and is in compliance with various electronics interfacing standards (e.g., NMEA 0183). This radar system is a digital system, which outperforms the previous analog AN/SPS-64(V) Radar. The AN/SPS-73(V) system is comprised of a Furuno radar and a Raytheon designed Stand-Alone Operator Position (SAOP). The radar portion of the SSR includes the antenna, pedestal, receiver/transmitter, and performance monitor and is available in 25kw X-Band and 30kw S-Band. The SAOP combines the use of processor cards, video monitor, trackball, and keyboard to provide complete control of the radar system. The ships when are deployed in wartime operations can be equipped with an Electronic Warfare antenna to counter attacks.